The following Holiday Inn Montego Bay Review has been updated for 2018. Enjoy! For the last several years, our family has visited Jamaica for Spring Break. We first came to the island with our kids in 2015 and have been there at least once per year since. In many ways, it has become a our family’s Spring Break home, and our kids look forward to the trip every year. 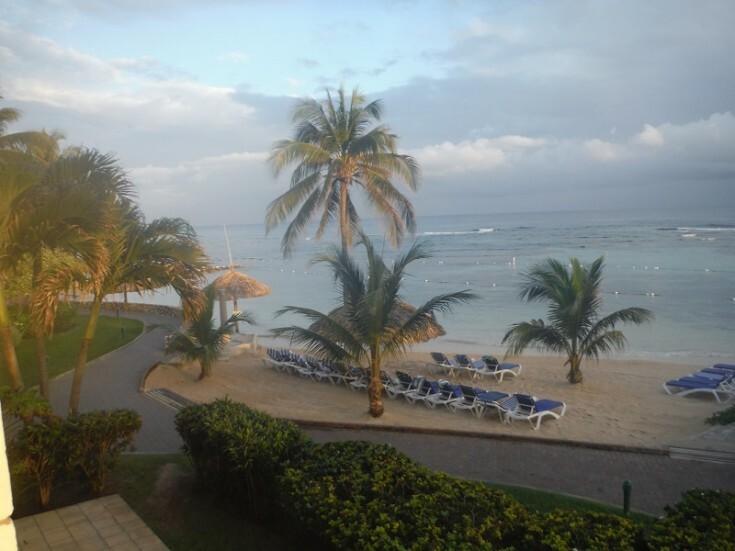 We recently completed our 4th Spring Break stay at the Holiday Inn Montego Bay. This all-inclusive property is located just 15 minutes from the airport and has long provided a great return per dollar spent. As many of you know, we’ve recommended this hotel for years. With kids ages 11 and under staying and eating free (kids 18 and under stay free), the resort has been an excellent value for families seeking cheap vacation spots in the Caribbean. Booking a room using a combination of points and free nights with an IHG credit card made it an even better deal. 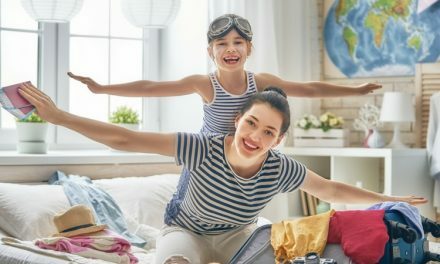 Although my kids still love it and it’s still a decent value for families, IHG recently changed the annual free night policy associated with their co-branded credit cards. And, while it’s never been a “luxury” hotel, there has been a small but noticeable decline in some of the property’s amenities. Is this a deal breaker? Maybe. Maybe not. Here’s a look at what we thought after our most recent visit. Thankfully, finding cheap flights to Jamaica hasn’t changed too much.Southwest still flies to Montego Bay, so that helps with airfare. 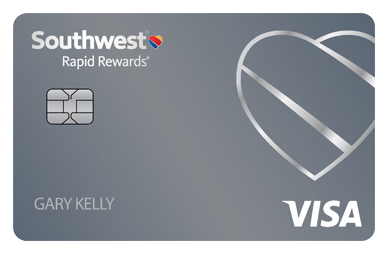 To get there on points, you and your partner should both consider getting the Southwest Rapid Rewards Plus card. On our first trip there, we paid around 20,000 points (plus $90 in government-mandated taxes and fees) per round-trip flight from Indianapolis to Montego Bay. Each of us also had the Southwest Companion Pass, which meant that our kid’s flights cost zero points. Nothing. Nada. While costs have risen slightly, points are still a viable option. Unfortunately, however, earning the Companion Pass has gotten much more difficult. The Southwest Visa still comes in multiple options, but you can no longer earn the signup bonus on both of the consumer cards at the same time. In fact, you can’t earn a second bonus on the personal card if you’ve already earned the bonus within the last 24 months. So, it’s going to take some serious work if you want to earn the Companion Pass. Although paying in cash is still an option, one of the biggest benefits of staying here was that you could use points and an annual free night if you carried the credit card. As of May 2018, the annual free night no longer applies to certain hotels – including the Holiday Inn Resort Montego Bay. Now, all is not lost. You can still use a boatload of points and get some nights for free. 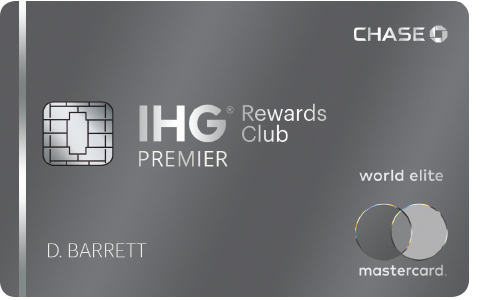 On one hand, you can transfer Chase points to IHG at a 1:1 ratio. This is gonna cost a ton of points, though, so think long and hard before you do it. You should also consider the IHG Rewards Club Premier Card which offers an 80,000 point signup bonus after spending just $2,000 within the first 3 months. 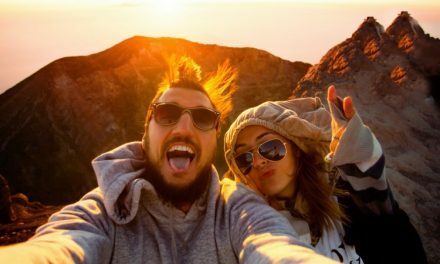 And right now, you’ll also earn an additional 40,000 bonus points (for a total of 120,000) after spending a total of $5,000 in their first 6 months after account opening. If both you and a partner earn it, you’ve got 240,000 points in your pocket, minus the $89 annual fee. The hotel recently increased its rate to about 50,000 points per night, so the signup bonuses will net you about 4 free nights. When you book a stay of 4 or more nights, you also get one night free. While that’s still not bad, it isn’t as good of a deal as it used to be. Additionally, rooms here run as low as $188 per night, so tacking on an extra night or two won’t cost you an arm and a leg. Remember also that the hotel is all-inclusive, so there’s no out-of-pocket costs for food or drink. Although this is was our 4th stay at this property, our impressions have stayed relatively the same – with a few exceptions. Holiday Inns aren’t necessarily known for luxury, and the Holiday Inn All-Inclusive Resort, Montego Bay is about what you’d expect from the brand. It’s a three-star property, so the rooms are relatively clean and in decent (but not great) shape. For instance, the hot water in our bathtub didn’t work but the shower was fine. While not a huge deal, it’s that kind of stuff that you should go expecting or you’ll be disappointed. Temper your room expectations before you go, and you’ll probably find the accommodations to be fine. The view from our room…. One thing we really like about this resort is that it’s so kid-friendly, especially when it comes to their beach and pools. The main beach, for example, sits across from a small, private island that completely blocks all waves from coming in. As a result, the water right off the beach seems like a warm, Caribbean bath tub with no waves of any kind. My kids love it, and the lack of waves makes it easy for them to look for shells, hunt for hermit crabs, and get around. The water off this beach is also very shallow, making it safer for little ones. However, the adult beach on the other end of the resort has some deeper waters for those who want to swim. When it comes to pools, this resort has plenty to offer. The main pool is right near the main beach and private island. The resort’s main entertainment stage is also here, so the area is always buzzing with activity. The adult side of the resort also has a private, adults-only pool with a swim-up bar. Although the main pool is very clean, Holly and I visited this pool on our last trip and found it to be a bit cloudy. The hot tub near the main pool has also been cloudy over our last couple of visits, so these are definitely some areas that need work. In my opinion, if you’re looking for adults-only, you should look somewhere else. While I appreciate that there is an adults area where I can go to get away, if only for a few minutes, Jamaica has plenty of adults-only options that would be better suited for an adults only trip. This is really more of a spot for families. The cool thing about all-inclusive resorts is that all of your meals and drinks, even alcohol, are included. The downside is that the food isn’t always the greatest. We’ve visited a gajillion all-inclusive resorts on several islands across the Caribbean, and – overall – the food here is slightly above average. The buffet is hit and miss (especially for lunch), but many of the specialty restaurants are pretty good. The Barefoot Grill, which sits directly on the beach, serves hamburgers, cheeseburgers, fried fish, veggie burgers, and grilled cheese with fries during the day, then again after 10 PM. We eat lunch here practically every day. As vegetarian/pescatarians, it’s nice to see veggie burgers on the menu. They’re pretty dang good as well – especially after a beer or two. A small snack shack, called Just Kiddin’ serves ice cream cones, nachos, and popcorn during daytime hours. Of course, our kids love this place. Honestly, it is one of the most special things about this resort. Everyone we talk to raves about the Jerk Hut on the beach, which serves jerk chicken and homemade bread and rolls. It looks good, but we still haven’t had any. This resort serves Red Stripe beer and several kinds of mixed drinks you can enjoy, including some wicked-strong Rum Punch. The resort has several sit-down restaurants with evening hours, including a Jamaican restaurant, an Italian restaurant, a Japanese restaurant, a seafood restaurant, and a big buffet. The Italian and Hibachi section at the Japanese restaurant are our favorites. 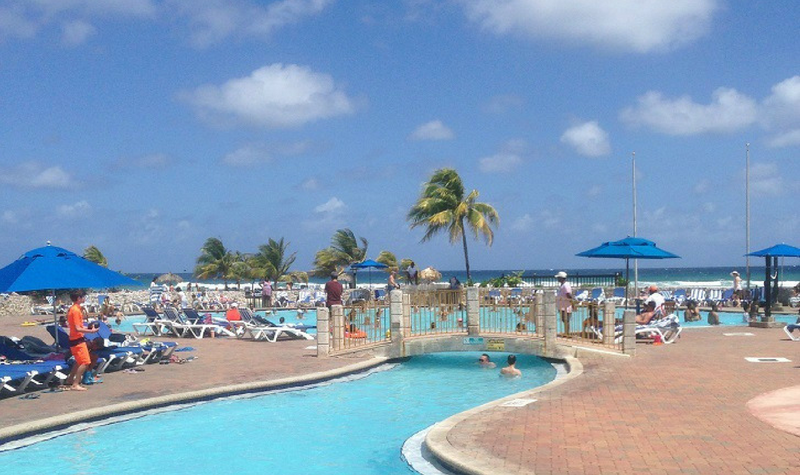 The Holiday Inn Montego Bay features a ton of activities for kids, including a kids club. The club is completely free and open from 9:00 a.m. to 12:00 p.m. and again from 1:00 p.m. to 6:00 p.m. each day. We don’t leave our kids there all day, but instead drop them off each morning for a short time so we can hit the gym and get all of our stuff set up at the beach. To be honest, this is nowhere near the best kids club we’ve seen. It’s more like dropping your kids off with a babysitter. However, they do have a few things planned – like painting, feeding fish, and playing tag. Now that our kids are a bit older, they LOVE taking part in all the activities on the main stage. Throughout the day, the resort’s entertainment team runs all kinds of contests and events for both kids and adults. Everybody at the pool – including our kids – seems to have a blast. Oh, and if you’re there over Easter, the resort typically has an Easter parade and festival which is quite fun. Additionally, the resort offers free non-motorized watersports. We usually get in at least one or two rides on the kyaks and pedal boats. 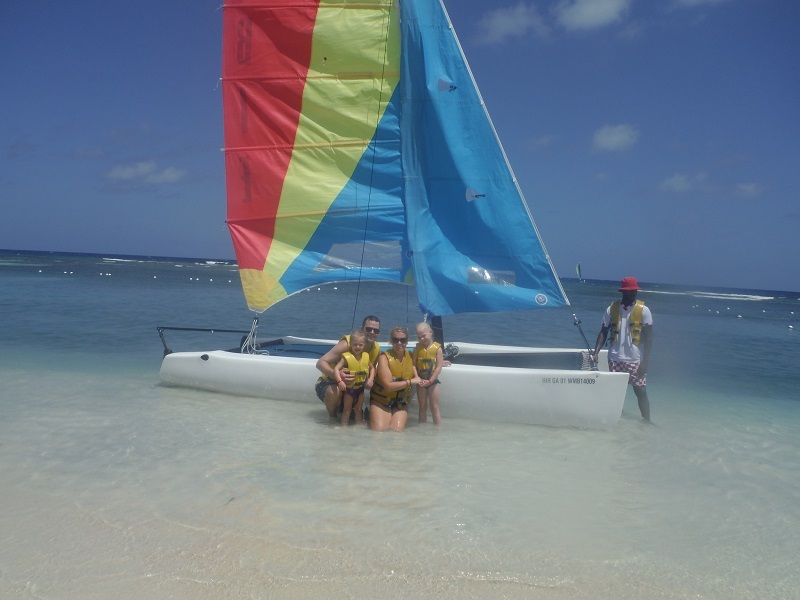 We also take at least one hobie cat ride, which is super fun for the kids and provides a nice view of the mountains behind the resort. 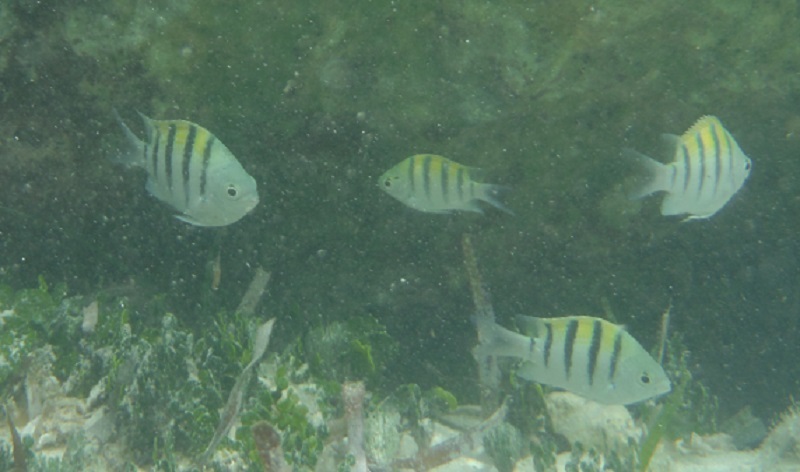 Snorkeling around the private island is also fun. While snorkeling with our daughter, I’ve seen large crabs and plenty of tropical fish. The snorkeling area is only about waist deep, which is also nice for kids and those who need a quick break. As I mentioned, we’ve now completed 4 stays at the Holiday Inn Resort, Montego Bay. Over the years, we’ve grown to love this place. We’ve made some very special memories here as a family, and this place will always hold a place in our hearts. While it is still a pretty good deal for families with young kids, it has lost a little of its luster. Overall, the food is still good, the rooms are decent, and beach is great for kids – especially with the private island. But, with IHG no longer honoring free annual nights here, the resort loses a little bit of value for points and miles fans. Additionally, some areas of the resort are starting to need a little TLC; however, if you keep your expectations relatively low, you’ll likely be happy. Can I give the Holiday Inn Montego Bay the resounding recommendation I have in the past? No…but it’s still a pretty solid family resort, especially if you’re paying in cash and/or you have young children. 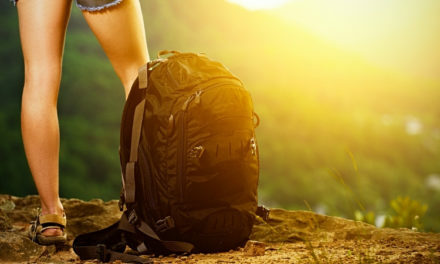 Want help planning the same trip? Please contact us at our Free Travel Advice Page! PreviousCan You Pay Student Loans with a Credit Card? Here’s How. We stayed there! Everything you wrote is spot on. I loved that resort, and was pleasantly surprised. Everyone was really nice, and the drinks were strong, not watered down like in some places. Actually one of the pictures Federico took of a fisherman on that little island was selected as a National Geographic picture of the day among thousands, so l have a soft spot for it! Great post and glad you had fun!!! Nice! Do you think you’ll ever go back? I hope so. It was very nice! It seemed like you had a blast at Montego Bay and well used your points and miles. I hope my points are enough to cover expenses for such a trip. Nice pictures! Sounds excellent! It must be fantastic if you are planning to go again. We may have to check this place out when our daughter gets a little older. Your pics look amazing! It was a great place for kids! Up to this point in my life, all my travel has been adventure based, but with the kiddo we are starting to think about an all inclusive choice in a few years (when he’s old enough to enjoy it too). Maybe Jamaica is where it’s at (although we are partial to Trinidad). All-inclusive was really nice with the kids. Everyone got to eat what they want and I didn’t spend our entire vacation cooking like I normally do. Oh, gosh I love all the pictures! I definitely love going to the beach especially with my daughter and family. I love the pictures, and the resort sounds amazing! I’m always amazed at how you and your husband score some amazing trips and hardly pay anything out of pocket. Wow!! Looks like a great time! I’m going to put this trip on my list for when my two year old is a bit older. Thanks for sharing! Sounds amazing! This would be great for our family! Thanks for the great summary of your vacation. After our all-inclusive Hyatt stay in Cabo last year using points, I’m definitely looking forward to trying out some more all-inclusive resorts! Have fun on your return trip. Great review, Holly! We’ve been to Sandals – Whitehouse and I’ve considered going back to Jamaica but wasn’t sure where a good place to stay was (besides Sandals, of course). Looks like Holiday Inn is a great option. Sounds like a great place Holly! We’re looking at several places for our anniversary next year and leaning towards either St. John’s or a Hyatt all-inclusive in Cancun. We’re also looking to take the kids somewhere in the Caribbean next year so this’ll definitely go on our list. The resort management and staff are truly delighted with your review and thank you very much for the feedback. It is fantastic to hear your stay was to your enjoyment. We work hard to make it happen for all our guests. Just recently, the resort completed a major renovation and in conjunction our brand was relaunched. Read more here: Holiday Inn Resort Montego Bay, Jamaica News . We look forward to welcoming you again very soon! Please note the link to our news website is: http://bit.ly/hiresortjamaicanews. Thank you!! Thanks for commenting. You guys have a great place – you should be proud! We were going to go to the Bahamas for Thanksgiving, but SW only flies out of Baltimore to there, so we couldn’t make the connections work. Instead I booked the Hyatt Ziva in Cabo and we have a SW flight from Albuquerque to Houston to Cabo and we’ll be there just after noon instead of the middle of the night like the Bahamas would have been. I am really excited to have all inclusive. The companion pass is absolutely the best deal out there for family travel! You are ABSOLUTELY right about this resort!! Me and my friends have stayed here 4x already….the staff remembers us each and every time we go back and it’s like we never left. It’s very kid/family friendly but also caters to adults on the other side if you want straight adult interaction. We have met some AWESOME guests from other countries and I even met my boyfriend of 6 years there. So glad you enjoyed your time and I can’t wait to go back again. For anyone who stays you will NOT BE disappointed!! This sounds awesome!! I have an IHG rewards card and now this makes me want to head there sooner than later! I love all-inclusives, especially those that are family friendly and have something for everyone, which is sounds like this place does. Thanks for the review! How old were your little ones when you went? we’re thinking of taking our 3yr old son and 17 mth old daughter, our son loves swimming. Hi Holly! Thanks for sharing your review of the HI Montego Bay. My husband and I visited there almost 20 years ago and are considering a Spring Break 2017 trip with our 2 kiddos and getting the 1 bedroom suite. I read that your family was planning to go back for Spring Break 2016. I’m writing to see if you family returned, if your trip was good, and if you’d still highly recommend the resort. Much appreciated! Yes, we have been back and we still love it. The resort is a great value for families! I would love to go here for sure with my family. Only issue is that we are a family of 6 so that requires 2 rooms, which looks like 80K points a night. Holly, looks like a great place for families. Do you think teens and pre-teens would like the resort? I’d be taking kids ages 15, 13, and 10. Is it geared towards younger kids or is there enough for them to do as well? Thanks for your review! Do you think this is a good place for teens? My kids are aged 18 and 14. Thanks!! Hey Susan, thanks for reading! Honestly, at this point, I think this hotel is good for younger kids and just OK for teens. If you have points you can use, I’d check out the Hyatt Ziva as well. Thanks for your feedback. We are now leaning towards Aruba and looking for both all and non inclusive ideas for a family of five with teens. Do you have ideas for us that will not break the bank but provide a great vacation? We do not have any hotel points to use, but considering the IHG card. Thanks so much. Personally, I think you should look for hotels along Palm Beach. This is where “The Strip” is, so you’ll find all kinds of activity around here. Plus, the beach is absolutely beautiful. If you’re looking to stay for relatively cheap, there is a Holiday Inn on Palm Beach that is nice. It isn’t fancy (it’s a 3 star property on a 5 star beach), but it does offer both all-inclusive and regular stay options. The rooms are clean and the beach is great. Right down the beach is the Barcelo Aruba. 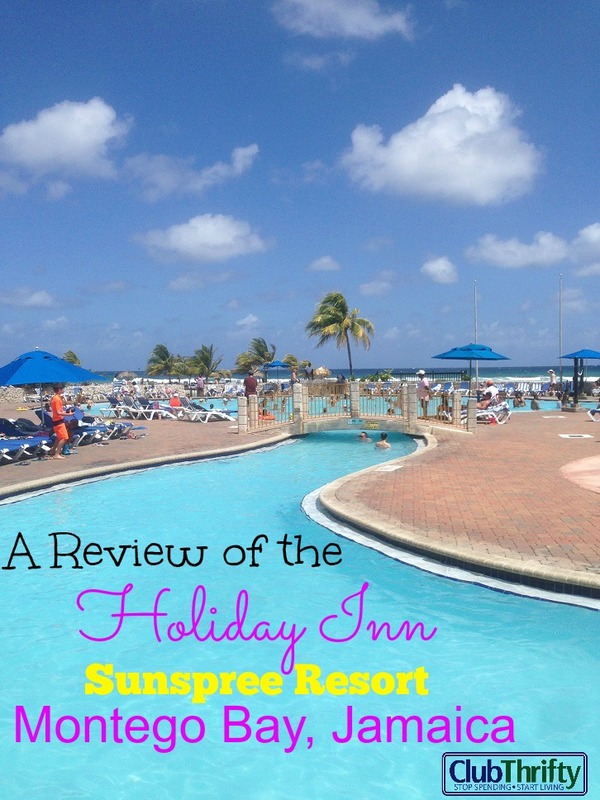 It is an all-inclusive resort and – although more expensive than the Holiday Inn – I’d definitely recommend it. You can read our full Barcelo Aruba review here. Next door to the Barcelo is the Hilton. We haven’t stayed here but did tour the facility. It is also nice and is a good option, although it is not an all-inclusive. I hope that helps!!! You are spot on! We first went to this resort back in March 2015 as well. We loved it! Yes it is not a 5 star resort but it is very kid friendly, the Jerk Hut is the best, the private island is awesome. Honestly, who needs a fancy room when you spend your whole day outside anyway. We went to another resort their in Montego for a wedding and paid more since it is more on the upscale side but compared to Holiday Inn, we had more there at Holiday Inn. Also, 7 minutes ride from the airport……that is awesome. On the side note regarding IHG Chase Free Nights, I think they extended it and will honor it until the end of this year.